This is the back story to my 20-plus years of Lean leadership research and practice. I became interested in Lean leadership soon after I participated in my first kaizens led by Shingijutsu consultants in the summer of 1994, when I was a business unit manager at Pratt & Whitney. After a few kaizens, I noticed that some of my colleagues were more successful than others in adapting to and supporting the new systems and practices that had been put into place. It appeared to me that leadership was the difference, though it was clearly not driven by charisma or other unique personality characteristic. I wanted to know why. In the mid-1990s, Lean leadership was known by many to be important, but nobody knew much about it. There were a lot of unanswered questions such as: How do you lead a Lean transformation? What is it about the leaders who experience success with Lean? What do they understand about Lean that others do not? What do Lean leaders practice? How do they think? What do they do differently? And, why are some companies successful while most others are not? In the prior three years, I had been very interested in leadership and organizational behavior and did a great deal of self study on the topic. I read dozens of books and hundreds of papers. My kaizen experiences made me recognize that leadership was a very important part of Lean management. So, I decided to focus exclusively on Lean leadership and did what researchers normally do: A lot of research, and then write about their findings. 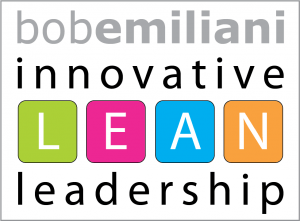 As it turns out, I was the first researcher to formally take on the study of Lean leadership. The first two papers that I wrote, “Continuous Personal Improvement” and “Lean Behaviors” (both published in 1998), were written while I was working in industry. These papers, therefore, should never be thought of as theoretical works (nor any of my later works). They express practical concepts and descriptions of how to become a better Lean leader, based on my own experiences in applying Lean principles and tools to my own development as the leader of a business unit. These papers help readers understand the true nature of Lean leadership and the importance of the “Respect for People” principle. The idea for “Continuous Personal Improvement” came to me soon after the second or third kaizen I participated in. I noticed that Lean tools could easily be transformed into leadership development tools. This was a big breakthrough because traditional approaches to leadership development at that time were complex and difficult (and still are today). The “Continuous Personal Improvement” paper described a practical way to simplify leadership development for people in organizations undergoing a Lean transformation. “Lean Behaviors” was the first research paper to fully articulate the “Respect for People” principle. I recognized that leaders’ behaviors had to be consistent with the Lean management system that they advocated. Meaning, leaders would not be credible if their call to eliminate waste in processes was done in ways that created waste. Simply put, leaders had to exhibit value-added behaviors. If they did not, then behavioral waste – the eighth waste – would destroy their ability to lead a Lean transformation. I made explicit what had been implicit for many years. In the paper, I provided many examples of value-added behaviors and behavioral waste, and described the great damage that occurs when leaders exhibit behavioral waste. It further simplified Lean leadership development by specifically pointing out the behavioral waste – much in the same way that in manufacturing, we did not see inventory as waste until our sensei pointed it out to us. Leaders that are aware of the existence of behavioral waste can now can begin to eliminate it. I coined the terms “Lean behaviors” and “behavioral waste” in this paper. It won an Outstanding Paper award in 1998. Since 1998, I’ve written more than 20 research papers and 19 books on Lean leadership, answering nearly all of the critically important questions – both at the macro- and micro-levels. Today, we clearly know what works and what does not work with respect to Lean leadership and how to lead a Lean transformation. My work has also turned Lean leadership into much more of a science and less of art, which makes it accessible to nearly anyone – versus a select few in traditional models of leadership. My research and practice has both informed and helped people succeed in efforts to transform their organization. Read endorsements of my work here. I’m excited to read this post. I am writing about the application of Lean to personal development on leanself.org for over a year now. It makes me glad to see another likeminded person thought about this more than 15 years earlier. I am happy that you are interested in that paper. I shall e-mail the link to you.